First look at Tarantino's '60s Hollywood set romp. Any thoughts that Quentin Tarantino might leave his comfort zone to deliver a nuanced, serious take on the Manson murders with Once Upon a Time in Hollywood would appear to be dismissed by the film's first trailer, which exhibits a decidedly comic tone. The film stars Leonardo DiCaprio and Brad Pitt as respectively a struggling TV star and his stunt double who find themselves embroiled in the murder of Sharon Tate (Margot Robbie). The ensemble cast also includes Timothy Olyphant, Dakota Fanning, Al Pacino, Tim Roth, Luke Perry, Emile Hirsch, Damian Lewis, Damon Herriman, Kurt Russell, Margaret Qualley, Samantha Robinson, James Marsden, Clu Gulager, Bruce Dern, Scoot McNairy, James Remar, Michael Madsen, Nicholas Hammond and Clifton Collins Jr. Phew. 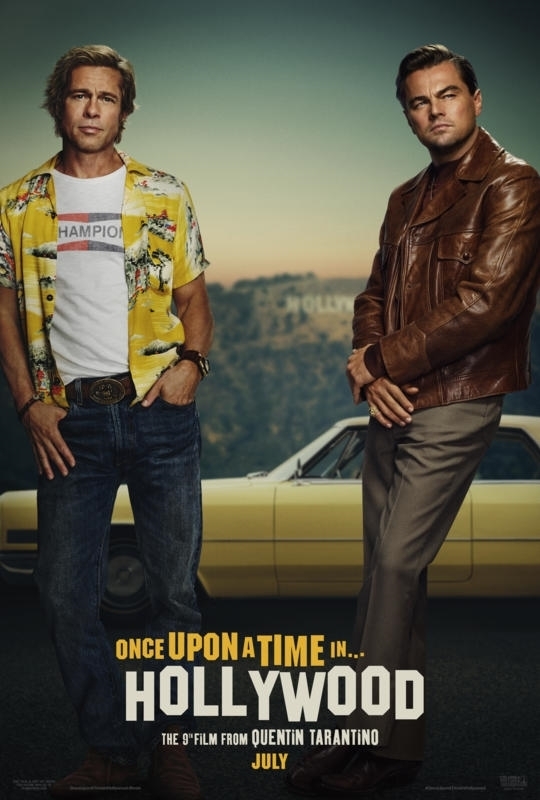 Once Upon a Time in Hollywood is in UK/ROI cinemas August 14th. Check out the first trailer and a couple of much mocked posters below.